This classic beauty is situated on a large and very private lot in highly desireable South Mission Hills. Open living room boasts vaulted ceilings, fireplace and eco-friendly bamboo floors that give way to a wall of glass bathing the home in light. The updated kitchen features Caesarstone Quartz countertops, stainless steel appliances and a built in wine cooler. 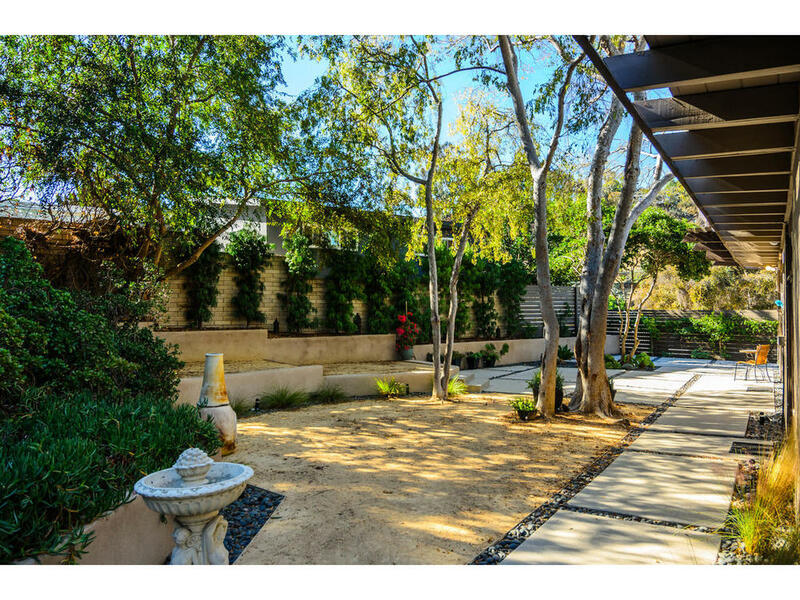 The private back-yard is an entertainer’s dream, custom designed with floating concrete slabs and a lush landscape that gives the property a park like feel. See complete images below and consult MLS for full details.